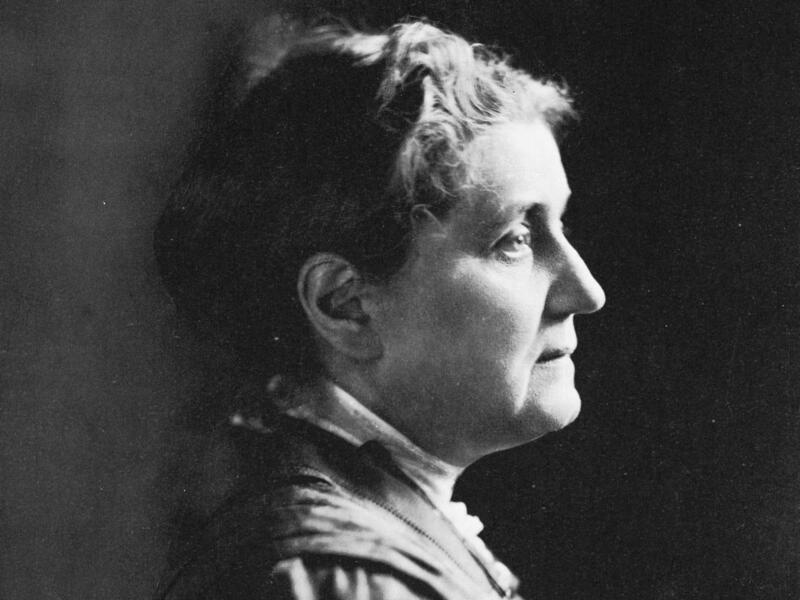 Jane Addams won the Nobel Peace Prize in 1931, the first American woman to win the prize. She was a founder of the settlement house movement, which helped care for poor immigrant families when the doors to America were thrown open to the world. Her Hull House settlement on Chicago's Near West Side served hot meals, brought in doctors, and offered music, theater, English classes, inoculations and hot baths. Jane Addams was caring, shrewd, and tough, an activist for women's rights, a fierce pacifist, and co-founder of the American Civil Liberties Union. She was widely lauded for her work, and often denounced for her ideas. When Jane Addams was called St. Jane in her lifetime, the remark was often steeped in sarcasm. Becker Ventures and the Aparium Hotel Group did not seek or need approval from any of Jane Addams' descendants or Hull House to call their new hotel The St. Jane. Carrie Meghie of Becker Ventures told the Chicago Tribune, "Hull House was a gathering place for people of diverse backgrounds to gather, eat and debate, much like a hotel ... It seems like a great nod to Jane Addams and her contributions to the city." Carrie Meghie and her husband, Terry, are active in a variety of good causes, and probably deserve the benefit of the doubt when they say a portion of the hotel's revenues will be given to what they call, "locally rooted charitable causes." But is the memory of a woman who battled civic leaders to build low-cost housing for the poor honored by invoking her name and legend to front for a four-and-a-half star hotel? Wouldn't a place that really aspires to honor Jane Addams give free rooms to people who have lost their jobs, and feed people who are hungry and homeless? Would a woman who strove to uplift the lives of those who are poor truly feel honored to see her image used to promote a hotel with rooms that will go for several hundred dollars a night? Jane Addams never claimed to be a saint. But like a saint, she inspired people to devote their lives to others. Jane Addams was not a brand. Does honoring someone really always honor them? Chicago's landmark old Carbon and Carbide Building, designed by the Burnham Brothers in 1929 and clad in black-and-green stone and gold leaf to look like a champagne bottle during Prohibition, is currently a Hard Rock Hotel. But next year, the 40-story building will become The St. Jane Hotel, named in honor of Jane Addams. Jane Addams won the Nobel Peace Prize in 1931 - the first American woman to win the prize. She was a founder of the settlement house movement, which helped care for poor immigrant families when the doors to America were thrown open to the world. Her Hull House settlement on Chicago's Near West Side served hot meals, brought in doctors and offered music, theater, English classes, inoculations and hot baths. Jane Addams was caring, shrewd and tough, an activist for women's rights, a fierce pacifist and co-founder of the American Civil Liberties Union. She was widely lauded for her work and often denounced for her ideas. When Jane Addams was called St. Jane in her lifetime, the remark was often steeped in sarcasm. Becker Ventures and the Aparium Hotel Group did not seek or need approval from any of Jane Addams' descendants or Hull House to call their new hotel The St. Jane. Carrie Meghie of Becker Ventures told the Chicago Tribune, Hull House was a gathering place for people of diverse backgrounds to gather, eat and debate - much like a hotel. It seems like a great nod to Jane Addams and her contributions to the city. Carrie Meghie and her husband Terry are active in many good causes and probably deserve the benefit of the doubt when they say a portion of the hotel's revenues will be given to - what they call - locally rooted charitable causes. But is the memory of a woman who battled civic leaders to build low-cost housing for the poor honored by invoking her name in legend different for a four-and-a-half star hotel? Wouldn't a place that really aspires to honor Jane Addams give free rooms to people who've lost their jobs and feed people who are hungry and homeless? Would a woman who strove to uplift the lives of those who are poor truly feel honored to see her image used to promote a hotel with rooms that will go for several hundred dollars a night? Jane Addams never claimed to be a saint, but, like a saint, she inspired people to devote their lives to others. Jane Addams was not a brand. (SOUNDBITE OF CHAD MCCULLOUGH AND BRAM WEIJTERS' "HESITATION") Transcript provided by NPR, Copyright NPR.